Borussia Dortmund teenager Jadon Sancho was a surprise selection when England manager Gareth Southgate named a 25-man squad on Thursday for this month’s Nations League matches away to Croatia and Spain. Mason Mount and James Maddison were also given their first senior England call-ups by Southgate as it was announced that the 48-year-old had signed a new contract that will keep him with the national side until the 2022 World Cup in Qatar. 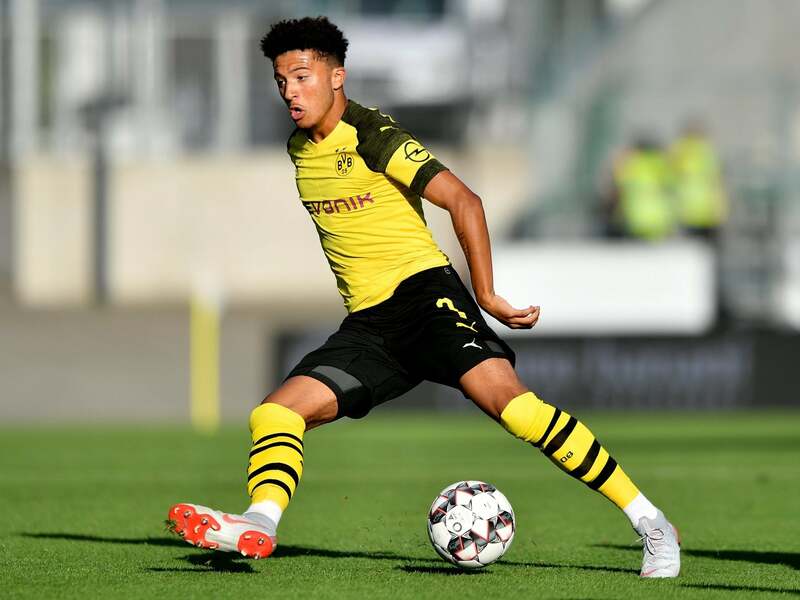 The 18-year-old Sancho was called up having already played in the Champions League for German club Dortmund, with Mount rewarded for some strong displays at English second-tier club Derby after joining on loan from Premier League giants Chelsea. Maddison was selected after a fine start with Leicester in English football’s top-flight this term after signing for the Foxes from Norwich. Harry Winks, capped once by England, was recalled after starting for Tottenham against Barcelona in the Champions League on Wednesday, while Chelsea’s Ross Barkley could win his first cap since a friendly against Australia in May 2016. Injuries have led Southgate to make changes to World Cup semi-finalists England’s squad. Dele Alli has been sidelined by a hamstring problem, while fitness doubts have seen the likes of Fabian Delph, Adam Lallana and Jesse Lingard omitted. England, second in group A4 of the Nations League, face third-placed Croatia in Rijeka on Friday 12 October before playing leaders Spain in Seville three days later.